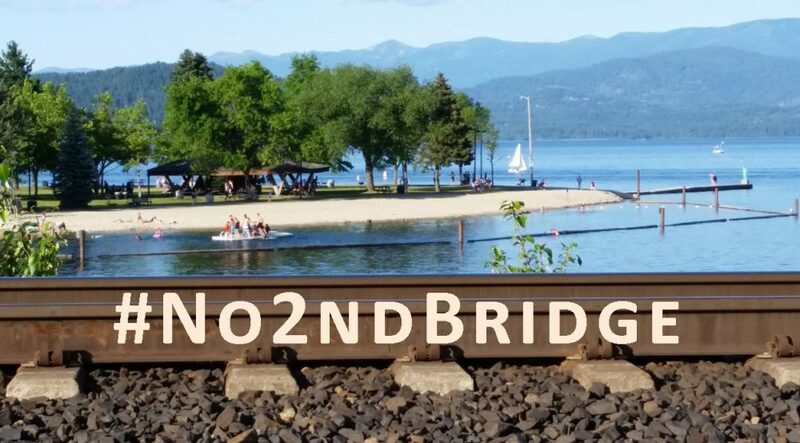 PLEASE JOIN US on Tuesday, July 12, at 8 pm, starting from the Farmin Park clock in Sandpoint, for a candlelight vigil and march commemorating the 47 lives lost to a fiery oil train derailment in Lac-Mégantic, Quebec, on July 6, 2013 [1-3]. Regional climate activist groups Wild Idaho Rising Tide, 350Sandpoint, and allies encourage you and hundreds of concerned area citizens to participate and bring candles (we can provide some), protest signs, ideas for creative street theater, and reports and reflections on life in a vulnerable, rural, Northwest oil train corridor. In Bonner County, Idaho, over 15,500 people live in oil train “blast zones,” under the increasing threat of potential derailments, spills, explosions, and fires of mile-long crude oil trains hauled by Burlington Northern Santa Fe Railroad (BNSF) and Union Pacific Railway from the Alberta tar sands and Bakken shale oil fields to Pacific Rim refineries and ports [6-8]. Currently, 8,419 people reside within one half-mile of the tracks, and another 7,087 people live between one half-mile and one mile of the rail lines in the county. #StopOilTrains in Idaho Week of Action events emphasize and seek to resolve this environmental injustice. We will report soon on #StopOilTrains Week of Action demonstrations in Lac-Mégantic, the Northwest, and Idaho, as the movement against fossil fuel exacerbation of climate change grows. The Quinault Indian Nation hosted the likely largest anti-oil train gathering during the last week, on Friday, July 8, when more than 600 tribal members, neighbors, and regional allies attended . Together, they boated, marched, and rallied to call on the City of Hoquiam to reject proposed crude oil terminals in Grays Harbor, Washington. Hoping to see you on Tuesday evening: Thanks! This entry was posted in Alerts, Coal/Oil Trains/Ports by WIRT. Bookmark the permalink.